While my father was fighting in the Vietnam War my mother raised me in Northern Virginia before giving birth to three more boys. 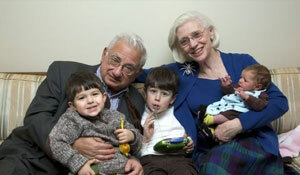 Two of her children gave birth to four more boys before the first granddaughter arrived. 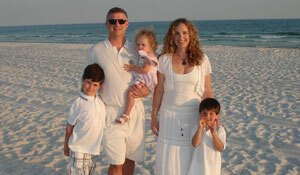 Split between Seattle, Vail and Florida the family can plan reunions around rain, snow or sun. Colonel and Mrs. Charles A. Krohn raised me as a military brat (Go Army!) traveling the world and back with all roads returning to the Pentagon. Retired and living on the Florida Panhandle, Panama City Beach is new home of Krohn Zone HQ. Two boys and a daughter given birth by the woman who agreed to marry me. My wife was born in the Seattle and raises our children in near proximity to their grandparents on her side. They respect their elders, peers, education and the outdoors. 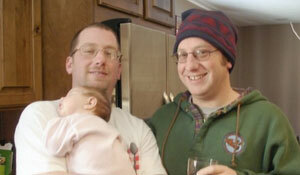 After my brother and I were born, real double trouble presented itself with the birth of twin boys. My brother and I live a few blocks from each other in the suburbs of Seattle. The twins live a few feet from each other sharing a home in Vail, Colorado. A cat family passed down from parents on both sides of the bride and groom. RIP to the assortment of other critters possessed over the years. Physical exertion is an important part of my life balance through team, individual and recreational sport. Whether athletic or adventure-based, my excursions from the Eastern Seaboard to Rocky Mountains to Puget Sound have provided pleasure beyond words. Living in Germany for two years as a child was my first introduction to the mountains. Breaking a leg during my sophomore year of high school skiing in Pennsylvania didn’t deter me from the slopes and snowboarding is now my preferred activity to get through the colder months. You won’t find Spring Break photos of my youthful indiscretions online. This is my season for organized team sport and after four decades of wins, losses and injuries I’m still going strong albeit a bit slower as a weekend warrior. It’s also a fun season for fashion. With a primary residence in the Seattle area summer presents a rare opportunity to enjoy (almost) steady sunshine celebrating the outdoors throughout the San Juan Islands and Pacific Northwest. Yes, Old Bay seasoning tastes great with Dungeness crabs! Hiking and biking are favorite outdoor pastimes still enjoyed. Fall fashion trends and my sartorial sensibilities are often at odds, but coming from a family history of clothiers I’ve always enjoyed the array of options from fabrics.